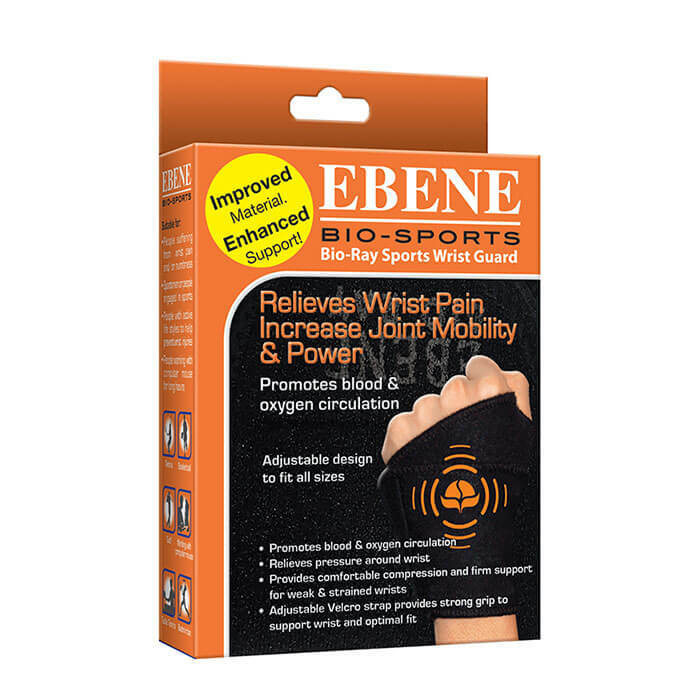 Release all the tension on your wrists with the Ebene Wrist Guard. The wrist wrap, designed with Bio-Ray technology, supports blood circulation in the hands, resulting in less pain during everyday activities or physical exercise. It also helps to prevent and relieve wrist pain and swelling. 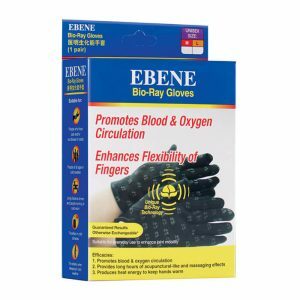 The Bio-Ray technology sowed within, emits a far infrared energy ray that reaches deep into the muscle and bones, promoting oxygen supply and blood circulation that results in more energy being delivered to the hand. Whether you sit behind a computer all day or you are an active sports player, the wrist splint will ensure your wrists are moving pain free. The wrist wrap is a free size product and can be adjusted to fit all hand sizes, to guarantee a snug fit and ultimate support. Adjustable strap provides strong grip and optimal fit. Adjustable to fit all sizes of hands. 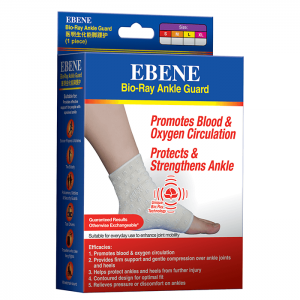 Provides comfortable compression and firm support for weak & sprained wrists. 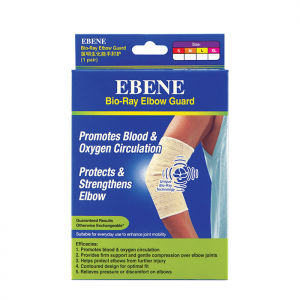 Recommended to hand wash the wrist splint with mild detergent, avoid excessive rubbing and squeezing to prevent the removal of Bio-Ray material. Rinse well and air dry. Do not machine wash or dry clean. Once the Bio-Ray material is worn out or faded, please replace. Hook thumb through loop. Bio-Ray prints should be in contact with skin. Wrap around wrist then fasten with Velcro. Ensure fit is snug.